A mutual fund that can invest irrespective of the market cap of the companies is known as multi-cap mutual funds. The advantage a multi-cap fund has over a large-cap or mid-cap fund is – it doesn’t have a limitation to the amount of exposure it can take to mid-cap stocks in the rising market or a restriction of a mid-cap fund which can’t move to large-cap stocks in a falling market to limit the correction. So it is a balancing act between the large-cap, mid-cap, and small-cap fund. As an investor, the decision of choosing more allocation to mid-cap or large-cap is with the fund manager who is more equipped to make better decisions in the market. Still, if you prefer, doing all yourself, check out: The Best Large Cap Funds To Invest in 2019 & The Best Midcap Fund to Invest in 2019. The process we will use is- from the 5-star rated direct multi-cap funds by ValueResearchOnline, we will choose the funds that can outperform shortly. Multi-cap fund is more about the stability of returns. So we choose the fund with lower expense ratio and has stable returns. Mirae Asset India Equity Fund has scored well on both the fronts – stable performance and expense ratio. 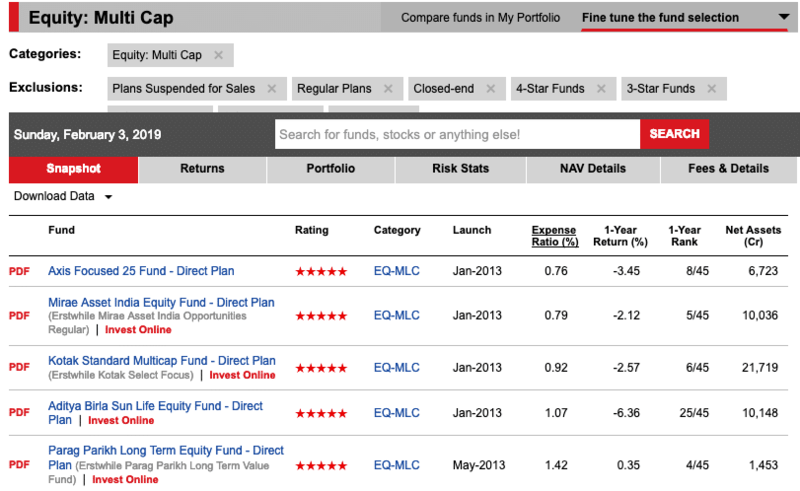 If I have to select more than one fund, the second choice of fund will be Kotak Standard Multicap Fund. 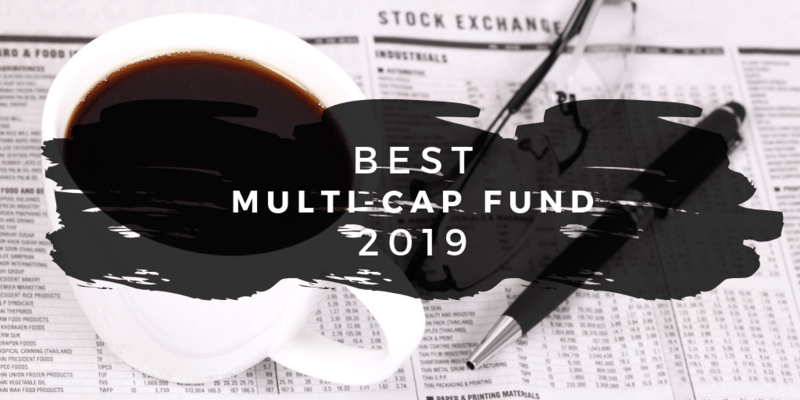 How The Best Multi-Cap Funds of 2018 Performed? The Best Multi-Cap Fund of 2018 was Parag Parikh Long Term Equity Fund, and the basis of the investment was diversification with international exposure. The fund has done well in the past year though return has been nominal it is not in the negative territory. The exposure to the US market has helped, but I am certainly not very optimistic for 2019 in the US. I think Indian markets will perform better than the US. Multi-Cap fund should be part of one’s portfolio if he is not able to handle the volatility of the mid-cap fund. It is not always about the returns but also the associated risk and volatility. And Remember, do not switch funds every year and pay the entry and exit load or long term capital gains tax. As always this isn’t an endorsement of the above fund. The emphasis is on the process to select the best mutual funds using tools like ValueResearchOnline as and when you want to invest in 2019.